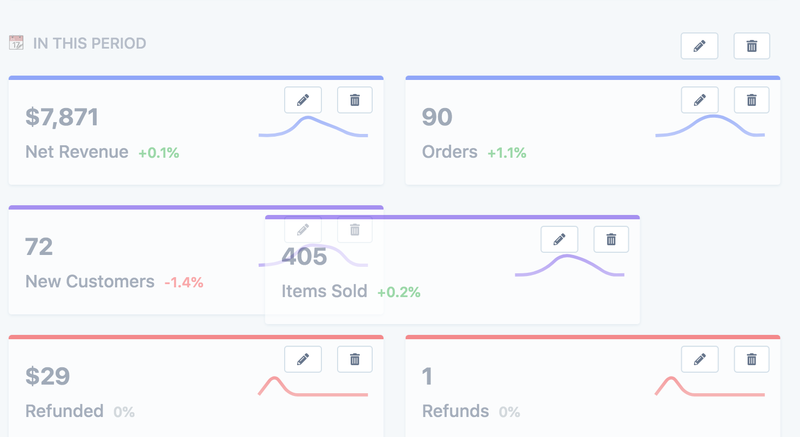 The dashboard is the heart of Metorik. It's the first page you see when visiting the app and the place you go for a quick overview of your store's metrics. 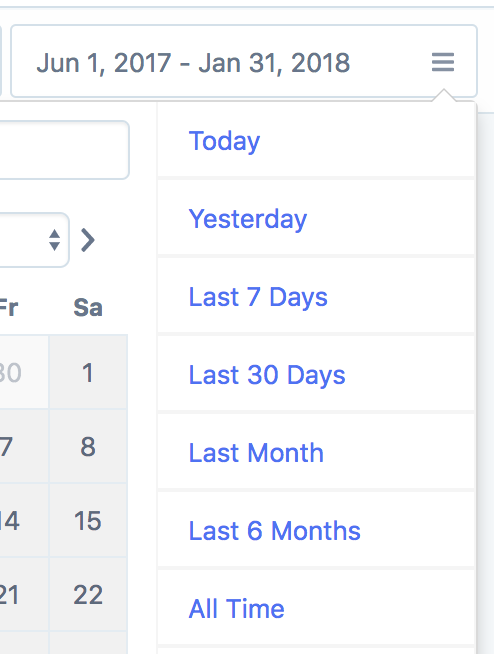 You'll find a variety of date ranges to pick from (you can enable other ones from the report settings page if you're a store admin) and can also choose a custom period. 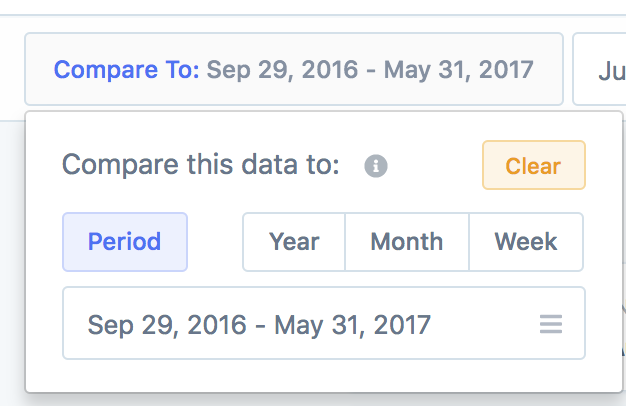 By default, it will compare the current date period to the previous period - more on period comparisons here. As you may have seen, Metorik includes a few pre-built layouts, as well as the ability to create your own layouts. That will open up an area where you can give the layout a name, and also choose if the layout should be shared with the whole team or just be accessible to yourself. 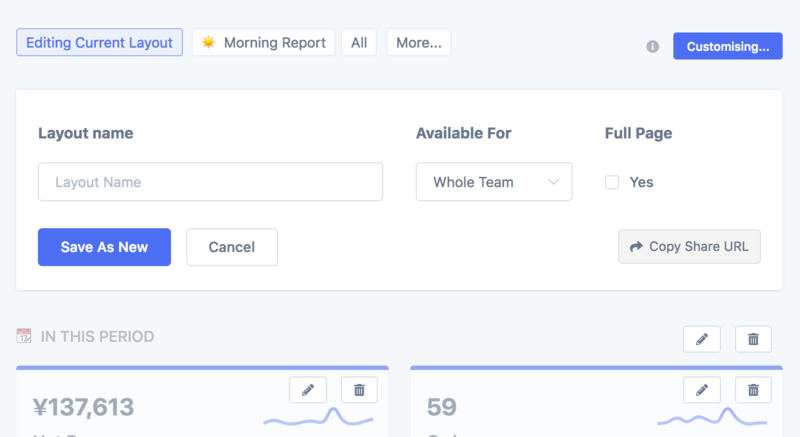 You can also enable the Full Page setting to make the dashboard take up the whole page (the events area will be hidden). Additionally, you can click the Copy Share URL button to copy a shareable URL to your clipboard. When a member of your team goes to that URL, the layout will be selected for them. 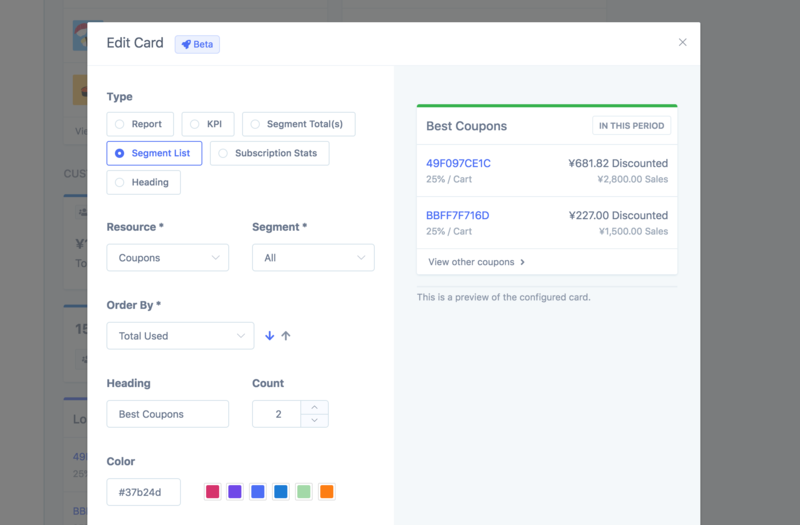 First, choose the Type of card you want to add. If you aren't sure what each one does, simply click a type and you'll see a preview on the right as you're building it. The options vary based on the chosen type, and it's likely more types/options will be added in the near future. An interesting type I want to highlight is the Segment Totals one. After selecting it as your type, you'll need to choose a resource (eg. orders, customers, etc.). Next, you'll be able to choose a segment. 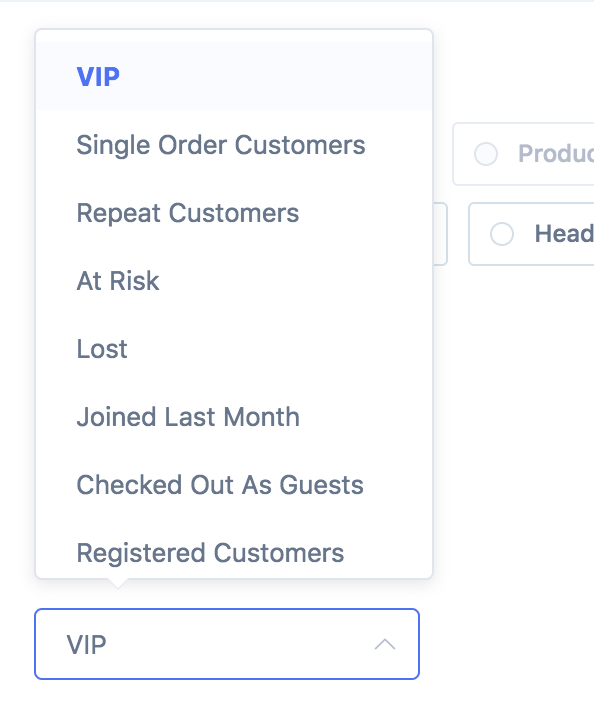 There are a variety of segments that come built-into Metorik, like the Repeat Customers one, the Guest Orders one, etc. 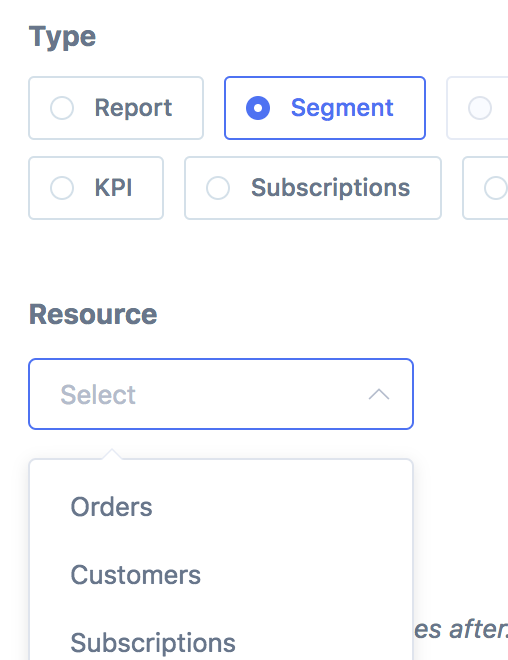 You also have the ability to create new custom segments in just a few clicks. More on segmenting can be found here. 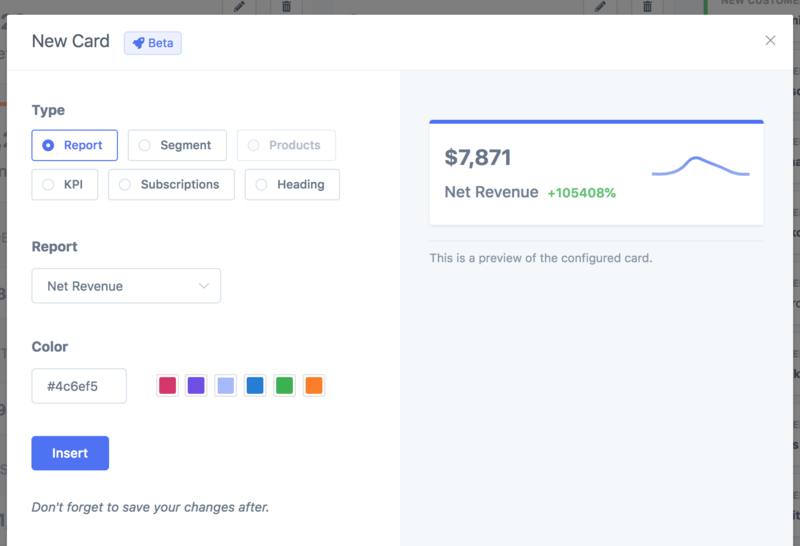 After you're done building the card, click the Insert button and then don't forget to Save the layout up the top of the page. 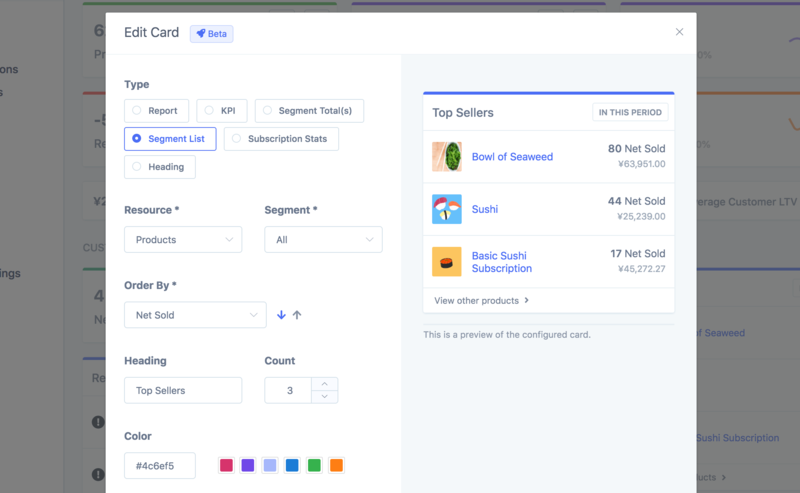 Another card of note is the recently added segment list card, which you can read about in detail in this blog post. 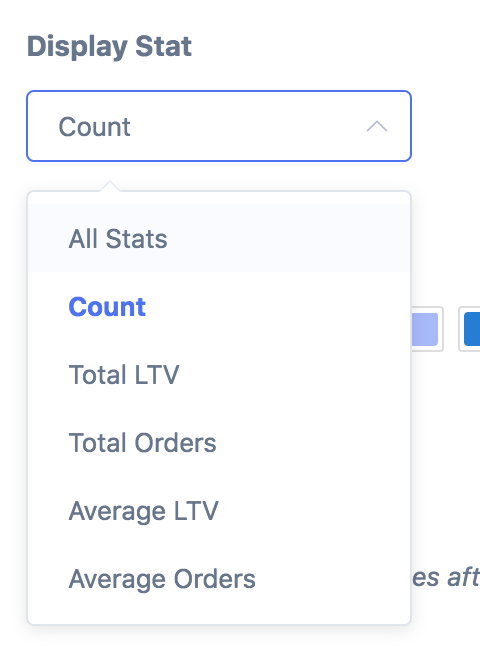 Like the segment totals card, it shows data from a segment, but instead of showing the totals for it, it shows the actual data. Don't forget that you can also change the ordering of the results, as well as the heading and the number of results shown. 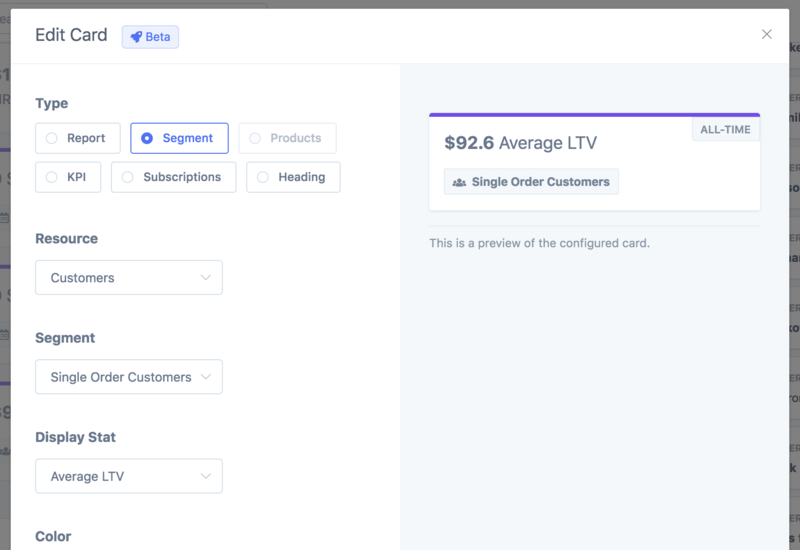 The dashboard will then take up the entire page, giving you more room to build custom dashboards and importantly, a better looking dashboard to display on a TV. This setting gets remembered in your user account, so you may want to invite a new Metorik user to the team, which will be used just for the TV, rather than using your own personal account.